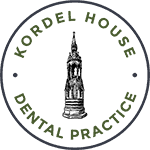 At Kordel House Dental Practice, Our aim is to provide our patients with a dental care experience that is centered on them and built to suit their needs. What makes us different from other dental practices is our core values and the commitments we live by. Our core values reflect what’s truly important to us as an organization and form the foundation on which we perform work and conduct ourselves. Our core values remain constant and underlie our work, how we interact with each other, and the methods we use to achieve our goals. We strive to be a well-led, safe, effective and caring practice, which is responsive to patients needs. We appreciate your confidence and will continually work to build a mutually trustworthy relationship. We abide by the simple and basic principle of doing what is best for the patient at all times. Respect – We will treat ourselves and our dignity and respect, treating everyone the way we would expect to be treated ourselves. Compassion – We are fully aware that many patients are not fond of visits to the dentist. Our goal is to earn your trust and confidence over time. We have overcome fears of our patients with compassion, even hand-holding if necessary. Providing High-Quality Dental Care – We never compromise on the quality of dentistry that we provide our patients. Each patient is treated with respect and provided oral health care on a level that we would provide our closest family members. Our dentists and dental care professionals work together as a team to provide high-quality dentistry. We use advanced technology to increase clinical efficiency, improve diagnosis, treatment, and quality of care for our patients. Fun – Life is too short not to have fun throughout the day. We hope you will hear laughter in our office. Please know that we are very serious about the quality of dentistry we provide, but also know that we like to have fun while working with you. We have found over the years that a few ounces of laughter help provide a more comfortable setting for you as the patient as well as make our work environment a happier place. Supporting Team Member Excellence & Happiness – We strive to build and maintain a practice that attracts and retains team members of the highest caliber. Our success is dependent upon the collective energy and contributions of all of our team members. Patient Education – Educating you as the patient is a prime focus for us. We firmly believe that the better educated you are, the better decisions we can make together regarding your dental care. We also firmly believe that the more you know about how to enhance your homecare, the better. We are in the business of helping you achieve optimum dental health.